Clinique Repairwear Laser Focus SPF 15 Line Smoothing Cream - Combination Oily to Oily, 1.7 oz. 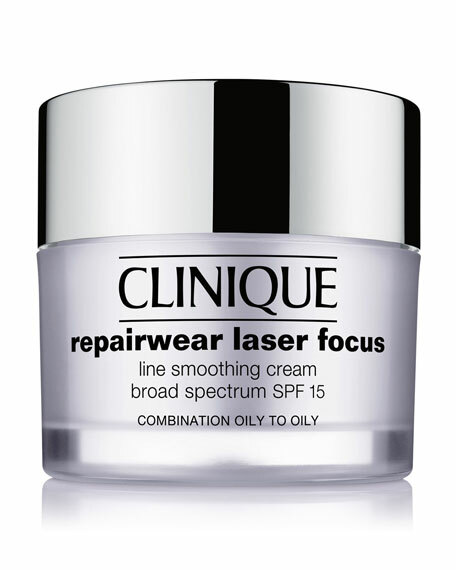 CliniqueRepairwear Laser Focus SPF 15 Line Smoothing Cream - Combination Oily to Oily, 1.7 oz. A daily moisturizer with visible effects. Lines and wrinkles seem to evaporate, replaced by plump, vibrant skin alive with collagen and elastin. Skin gains strength over environmental agers. Look younger, longer. 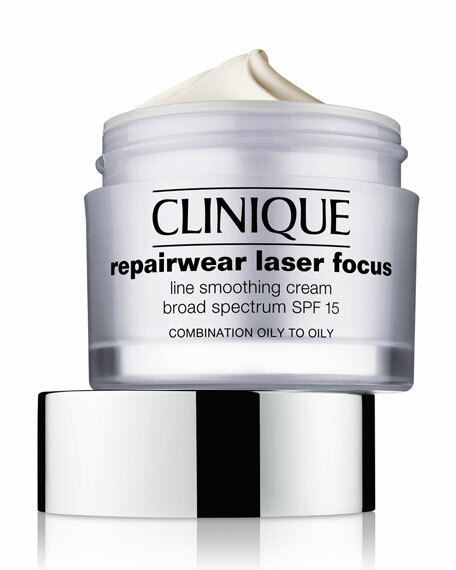 TIP: Perfect partner for nighttime use: Repairwear Laser Focus Night Line Smoothing Cream. Transform your skin while you sleep for a dramatically softer, smoother, younger-looking complexion overnight. Formulated with the RetAsphere Smart Release? ?